The decorated leather collar for Amstaff with silver decorations and blue stones. 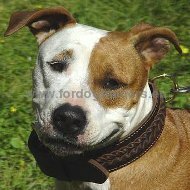 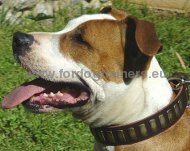 Amstaff is a very affectionate dog, a real dough, though somewhat sticky and stubborn, that's true. 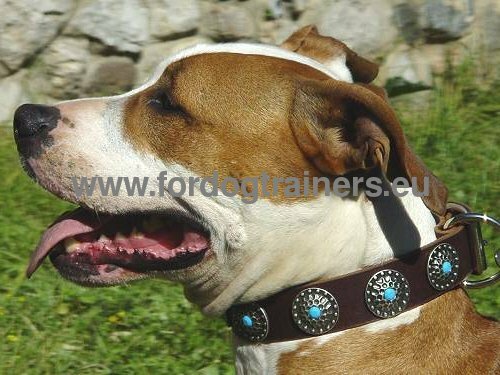 If you have a beautiful Amstaff female, you will not remain indifferent to this collar for Amastaff! 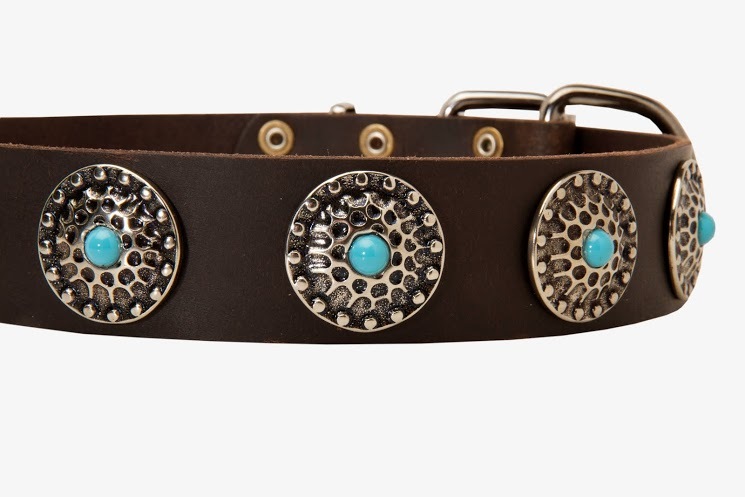 This is a real gem for your princess! 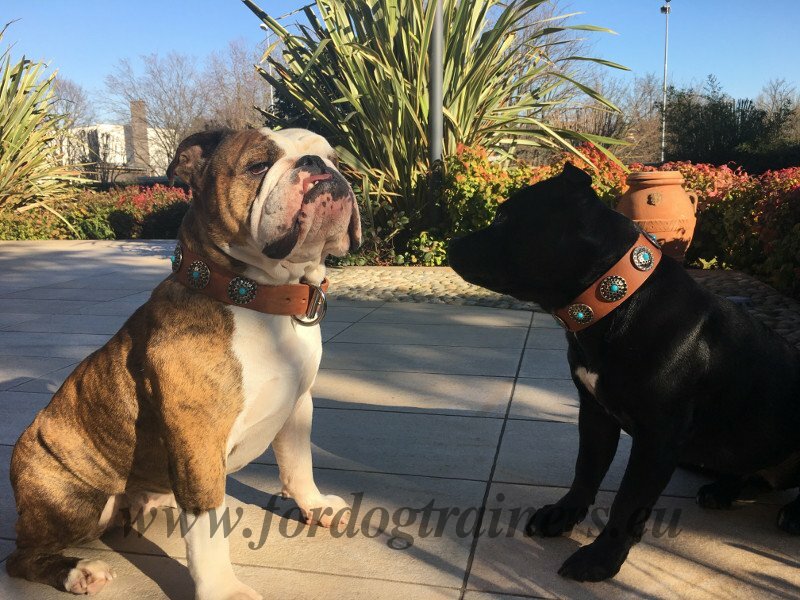 Fordogtrainers always think about quality and functionality of all dog accessories it manufactures, and leather collar for Amstaff is not an exception. Our luxury collar for Amstaff is not only glamorous and fashionable, it is also very convenient and reliable to control the dog that can be rather stubborn. Just look at the decorations of this stylish collar for Amstaff to understand that with such a collar your doggy will be irresistible! 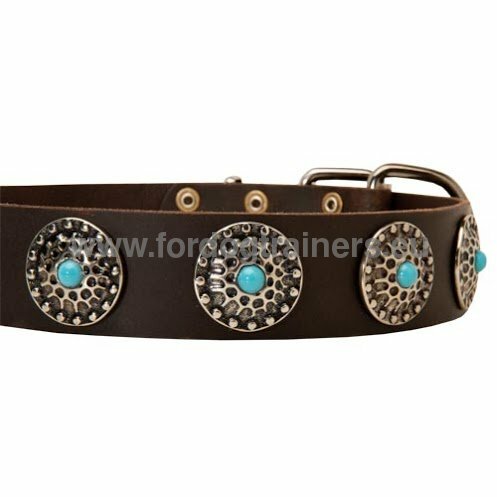 Decorative elements are carefully attached with rivets. 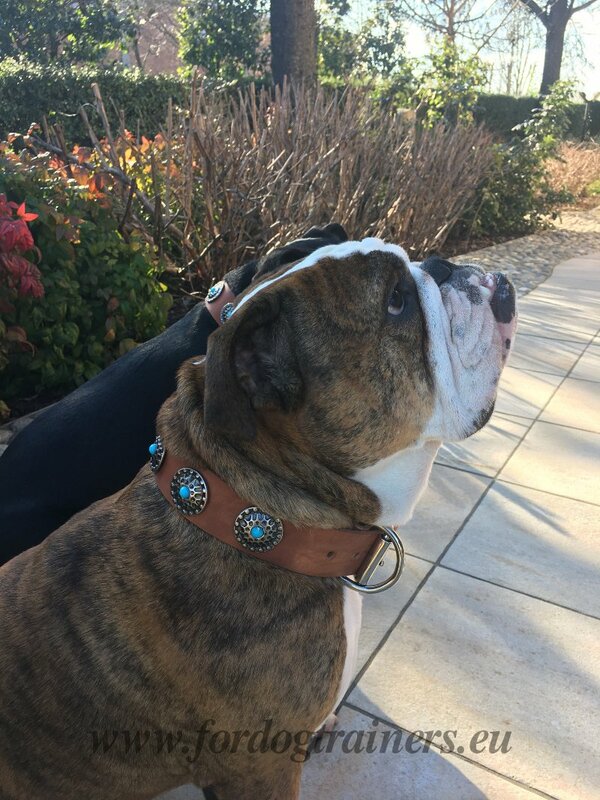 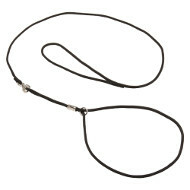 The selected and well oiled leather of this dog collar will keep its perfect look and shape for years! 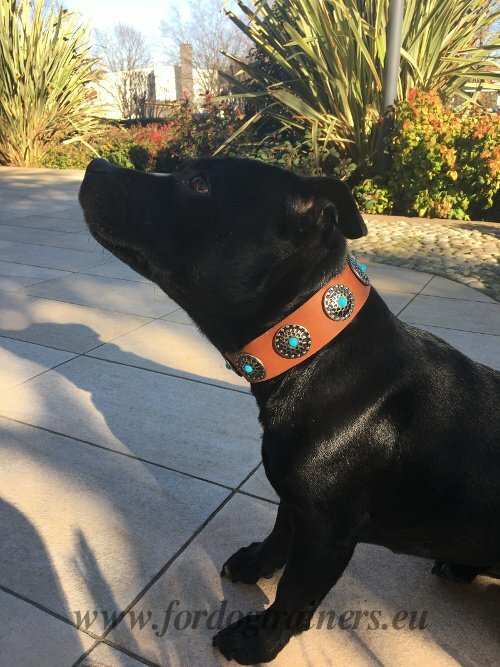 Evidently, this Amstaff collar offers comfort for the dog and lets you manage your pet well. 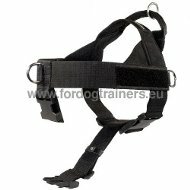 See other leather collars, nylon collars, excellent harnesses and other outstanding products for your dog in our on-line pet store! 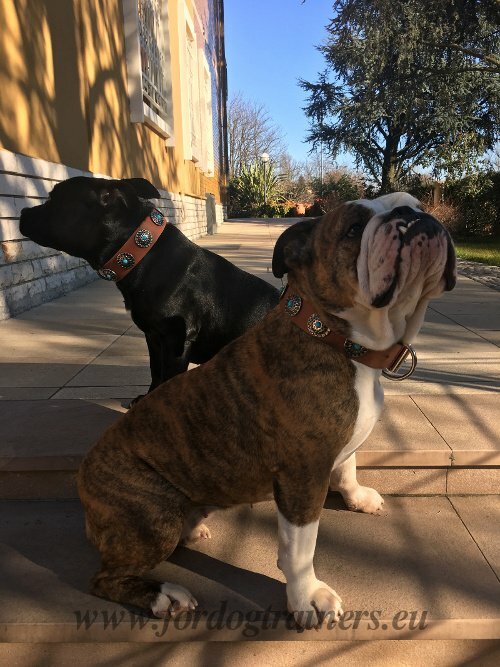 Hello, I wanted to let you know that the collars arrived and they are really gorgeous. 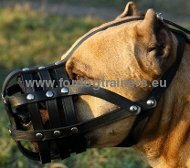 Soon I will send you a photo to put on the site.